Paranormal Pop Culture: 'Falling Skies' asks: How would you do in an alien invasion? 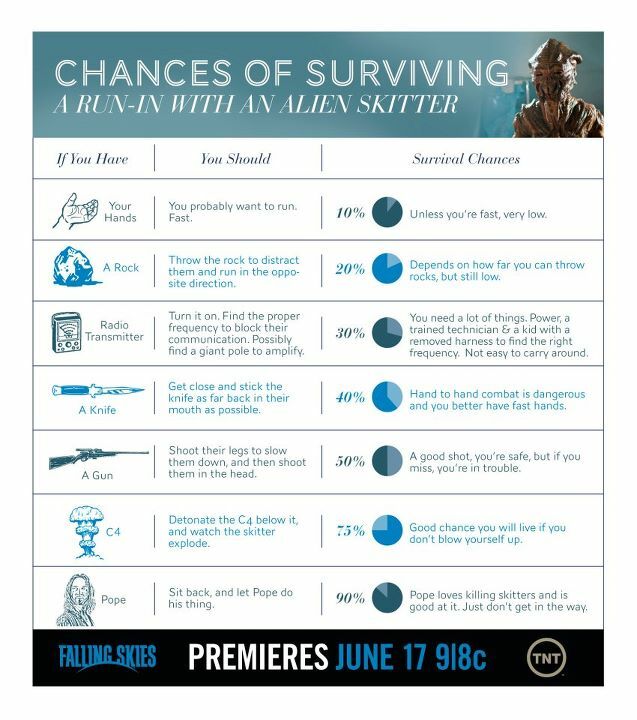 'Falling Skies' asks: How would you do in an alien invasion? 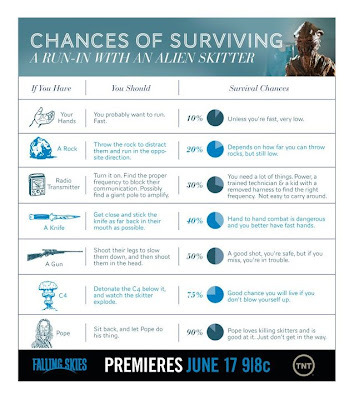 To prep for tonight's second season premiere of Falling Skies on TNT at 9 p.m., the network's Facebook page posted the chart below to offer you a break down of chances of surviving a skitter attack. Where do you fall?